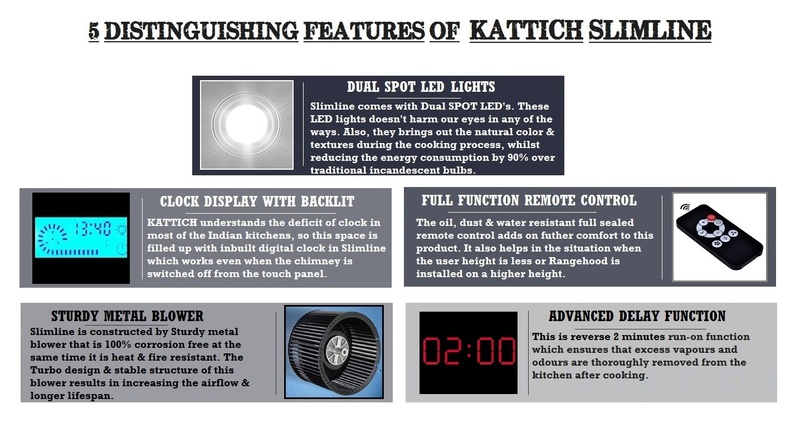 KATTICH SLIMLINE has been designed with the slimmest ever touch panel. 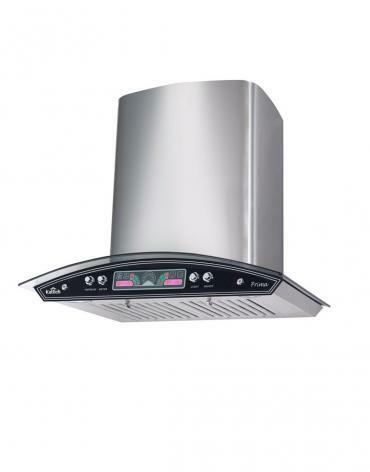 The MATT FINISH heavy guage hood adds the premium class feels to this product, making the kitchen looks incredible. 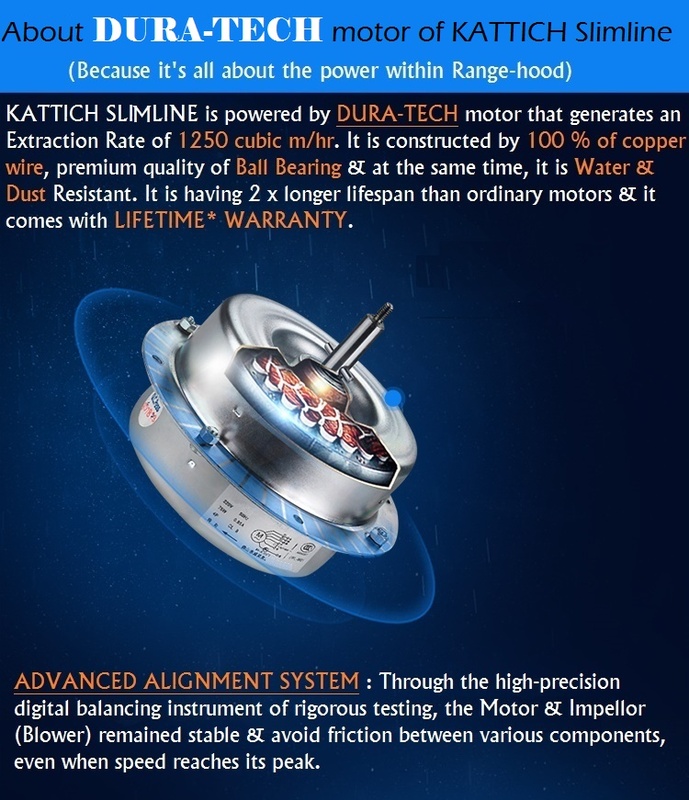 The 1250 m3/hr extraction rate DURA-TECH motor removes smoke with an ease. 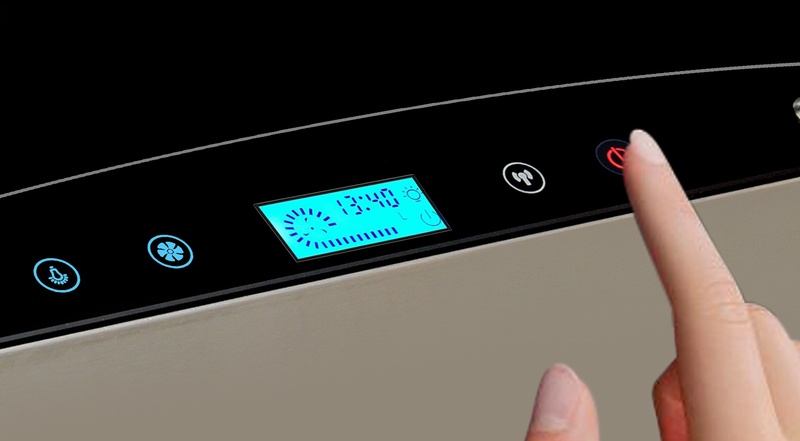 An array of versatile options with easy-to-read blue backlighting display, including a convenient kitchen clock, fan-speed selection and a delayed power-off option, SLIMLINE fulfills every requirement of a perfect Range-hood. 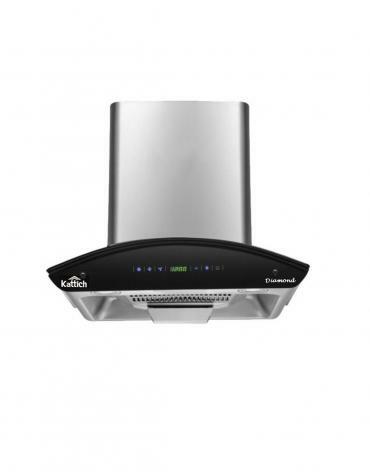 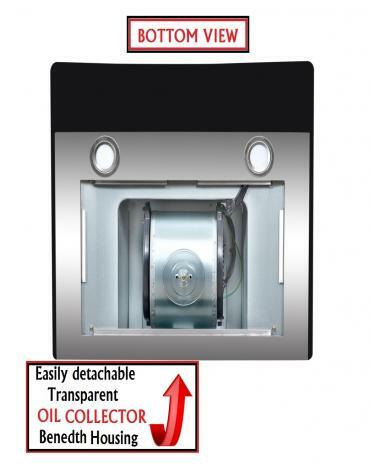 It is having 100% Dishwasher safe stainless steel dual Baffle filters which are robust & long lasting & allows increased airflow, whilst effective in capturing all forms of Bi-products such as grease & oil & at the same time easy to clean. 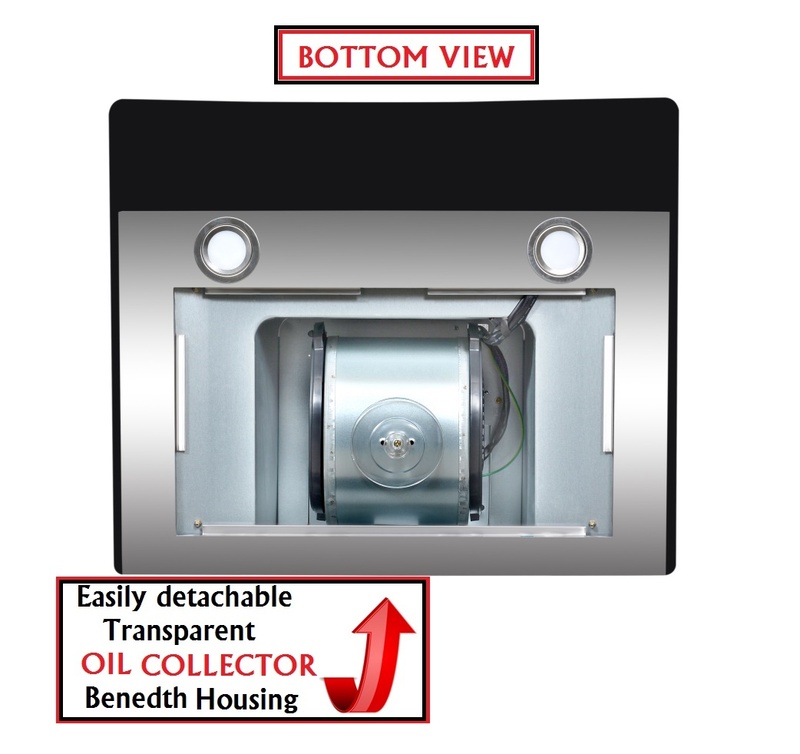 The presence of OIL-COLLECTOR beneath the housing collects the oil/grease deposits from motor & blower keeping them clean & maintenance free. 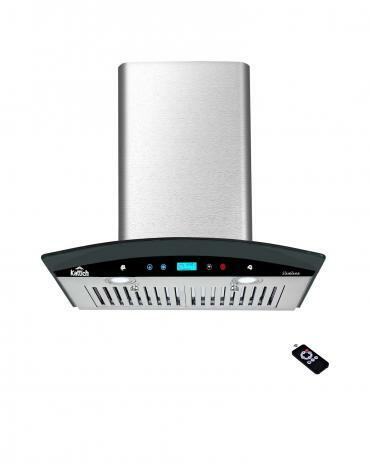 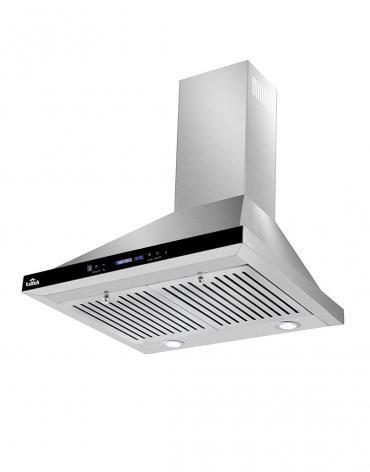 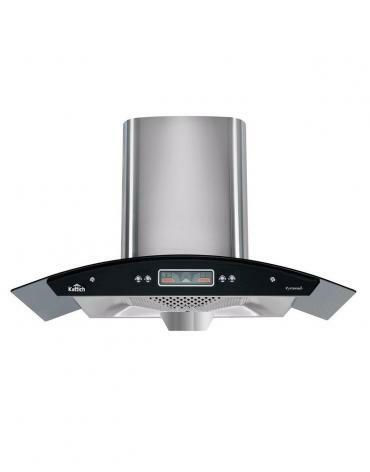 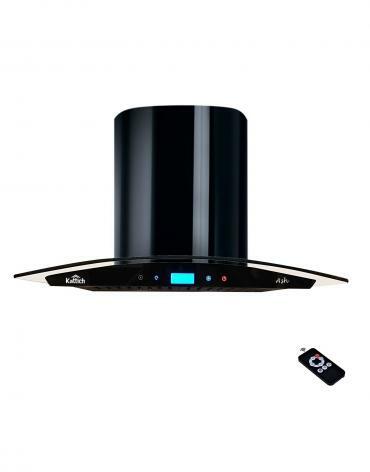 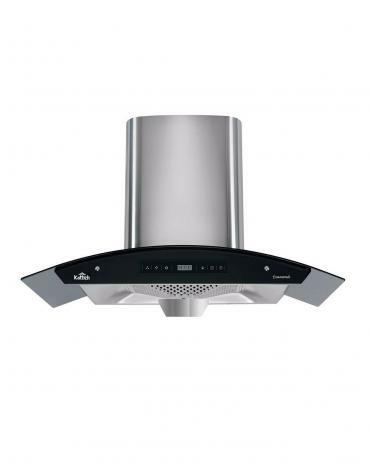 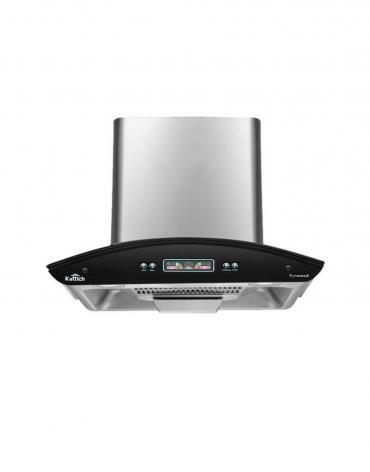 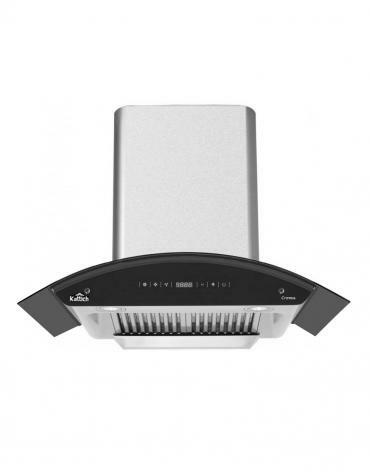 The oil proof full function remote adds on further comfort on the functionality of this range hood. 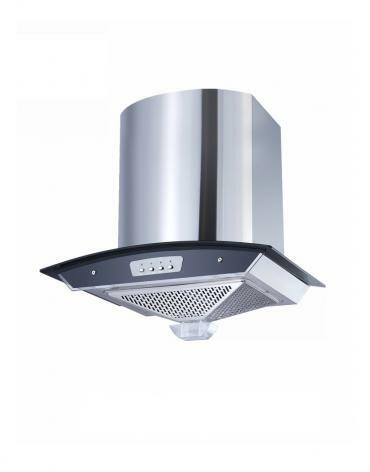 Long lasting & highly energy efficient dual LED Spot lights are integrated within the upper glass of this range-hood which provides plenty of light, so user can see exactly what he is doing. 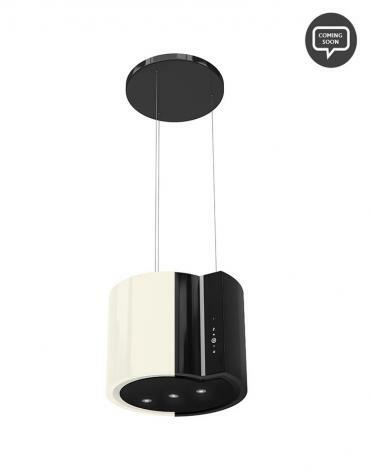 These LED lights produces a warm radiance that brings out the natural color & textures during the cooking process, whilst reducing the energy consumption by at least 90% over a traditional 60 W incandescent bulb.